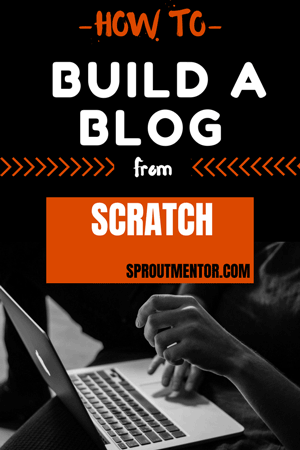 D o you want to monetize your blog traffic? There are many ways you can make money blogging, such as advertising, affiliate marketing, selling digital products and sponsored posts among others. Joining the right ad networks can help you to make fulltime income from advertising. However, some of the best ad networks have minimum traffic requirements you must meet before you apply. This can be discouraging, especially for beginners who have new blogs with zero traffic. In this post, I have compiled a list of 7 best ad networks for new bloggers. You do not need to meet any minimum traffic requirements to join these networks before they have instant account approval process. Premium Ad networks: They display ads from high-quality partners. Revcontent, AdBlade, and Media nexus are examples of such types of ad networks. Vertical Ad Networks: These are niche or topic-specific ad networks, which display ads from a particular subject, such as technology, fashion, and automobiles among others. Inventory specific Ad networks: These are ad networks which deal with specific inventory, such as mobile, video and native ads among others. Affiliate Ad networks: These are the ones which use CPC, CPA, CPM and other revenue models to compensate publishers who display the ads on their websites. Quality of ads in the network: Low-quality ads can easily destroy your website reputation to your visitors and target audience. Ad formats available: An ad network which offers a variety of ad formats is the best you should choose because one type of ad does not fit all your audience needs and content types. Payment terms: Carefully research on the compensation model (such as CPC, CPM, CPV or CPA) used by the ad network to measure the returns. Also, make sure that the ad network supports your most favorable payment method. Customer reviews: Carefully research or ask customers who have used the ad network about their experiences before you use it on your website. Size, reputation, and age of the ad network: How many advertisers does the network support? How long has it been around? What is its global ranking? The answers to these questions can help you distinguish the right ad network from those which are simply scammers. It was founded in 2010, which makes it one of the oldest ad network with excellent market experience and public trust. There are no minimum requirements for approval. This means that you can be accepted even with a new blog. It is ranked on position #78 globally in Alexa.com, which means it is one of the most popular ad networks around. There are no limitations on the type of niche or website accepted because all content types and subjects are supported. Its dashboard has a simple beginner-friendly dashboard, which will save you tons of time. The registration is simple and fast and only takes about 2 minutes to complete. Payment methods: PayPal, Payoneer, and Payza. Cost/pricing model: Cost per view (CPV). This means that a bid is set for each popup. Only displays quality ads, which have been carefully selected to match the purpose of your site and target audience behavior. This ad network is owned and managed by Google, which means it is legitimate. It is easy to set up and AdSense account, and also manage the ads. If you have multiple sites or online business platforms, you do not need multiple accounts, meaning that you can use one account to all. AdSense has an active and vibrant support forum who will answer all your questions. Note: Unlike other ad networks in this list, Google AdSense has strict minimum entry requirements, which you should meet to get accepted. Ad types: Text, image, rich media, flash, video, animated image, audio, and links. Payment period: Around 21st to 26th of every month. Payment methods: Checks, Electronic Funds Transfer (EFT), EFT via Single Euro Payments Area (SEPA), Wire Transfer and Western Union Quick Cash. Cost/pricing model: Cost per click (CPC). This means that you get paid a certain amount per click. Recommended readings: Google AdSense Review 2018 and How to apply for Google AdSense and get approved. It accepts all types of websites regardless of the niche, content or age. There are no minimum requirements which you must meet to join this ad network. You can run their ads alongside other ad networks, which will increase your blog income. They have a present and top-notch support system where you shall get answers to all your questions. Ad types: Popunder, slider, mobile and video. Cost/pricing model: Cost per mile (CPM) This means that you earn per number of ad impressions. For example, you shall make around $1 to 4 for every 1000 impressions. The payouts are high in the range of $10 to $50 per action, and they have many publishers you can choose from immediately you are approved. Ad types: Popunder/ups, slider, banner, box shadow and footer among others. Cost/pricing model: Cost per action (CPA). This means that you earn after a user clicks on the ad and performs an action, such as purchasing and subscribing among others. It also supports CPM and CPL pricing models. This is one of the best ad networks because they do not have any minimum traffic requirements for you to join. Ad types: Banner, mobile, and text. Payment methods: Payoneer and PayPal. Cost/pricing model: Cost per mile (CPM). This means that you earn based on the number of impressions the ad is displayed on your website. This ad network will help you to monetize your written words. Unlike other ad networks, which display ads on specific spaces on your website/blog, this one looks for keywords and converts them into links. When a user hovers over the link, an ad is displayed as shown in the image above. Ad types: In-text, in-frame, in-tag, in-fold text ads. Payment methods: Payoneer, wire transfer, and PayPal. Cost/pricing model: Cost per mile (CPM) and Cost per click (CPC). This means that you earn based on the number of impressions the ad is displayed on your website. You also earn based on the number of clicks the ad gets. This is one of the best ad networks for new bloggers because there are no minimum requirements needed for you to become a member. The approval is automatic immediately after you apply. Cost/pricing model: Cost per mile (CPM), Cost per click (CPC) and Cost per action (CPA). This means that you earn based on the number of impressions the ad is displayed on your website. You also earn based on the number of clicks the ad gets. You also earn when a user clicks on the ad and performs an action on the website, such as making a purchase.